Well kids, it’s official — I’ve taken my obsession with mascots to a whole new level. This is perfectly normal. Trust me. Oh, it’s possible, people. 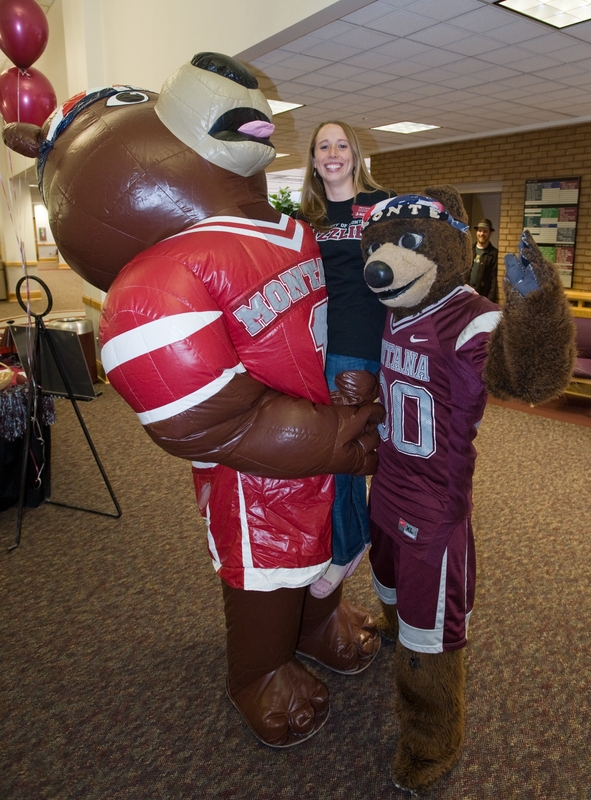 It’s possible because I found out this morning that I am the official blogger representing the University of Montana in the Capital One Mascot Challenge. If you don’t already know, UM mascot Monte is in the running for National Mascot of the Year accolades (a crown he’s won twice in the past, a feat no other mascot has accomplished ever in the history of the world). The Capital One folks teamed up with Danielle Smith at extraordinarymommy.com to present the Capital One Mascot Challenge Blogger Contest, and they chose me as the official blogger to represent UM! This means I am practically famous now! So stay tuned for the most in-depth mascot news Squirrel Thoughts has ever provided! And get out there and vote, people! And you may as well spread the word about the contest while you’re at it. Let’s show the rest of the country what Griz Nation is all about! So jealous–how fun to be an official blogger-officially!